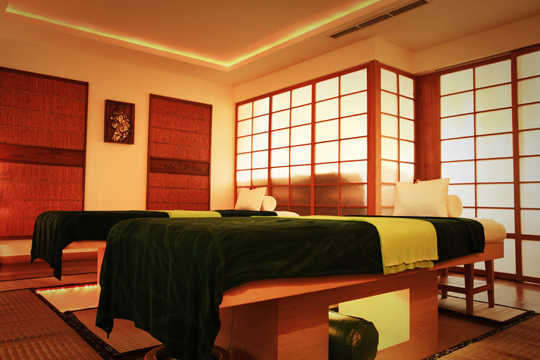 Experience the Luxury of Bali’s first authentic Japanese Spa. 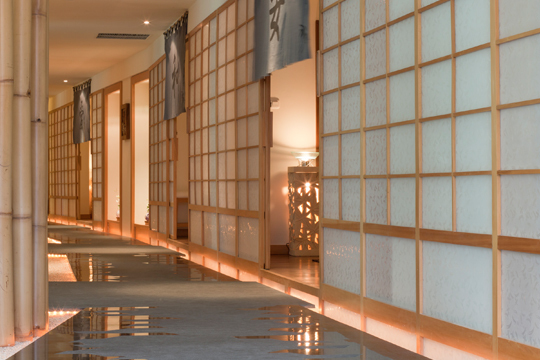 Step into a private Zen-inspired haven of serenity, harmony and relaxation at Shinto Spa. 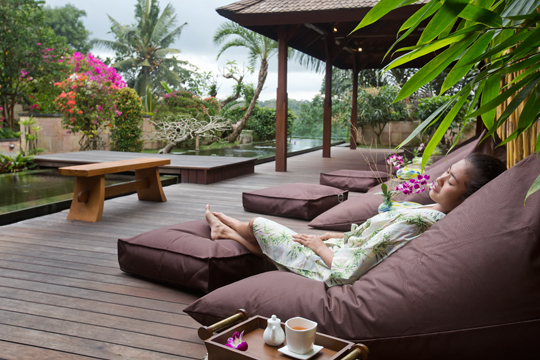 A place to beautify and pamper oneself in a stunning setting suspended above the lush jungle tops of Ubud. Among peaceful suites, gardens and water features, you can reflect and relax as you inhale our pure mountain air and gaze out at deep tropical gorges. Named after the indigenous spirituality of Japan, which celebrates the spirit of nature, Shinto Spa offers a sanctuary in which to discover a renewed state of harmony and bliss. The Spa treatment rooms feature a sensory focus on body and a blissful state of mind is created through physical touch in an elegant and visually balanced environment of five soothing double and two single treatment rooms. Experience their take on the traditional Japanese Onsen bathing ritual with the Spa bathing rituals.